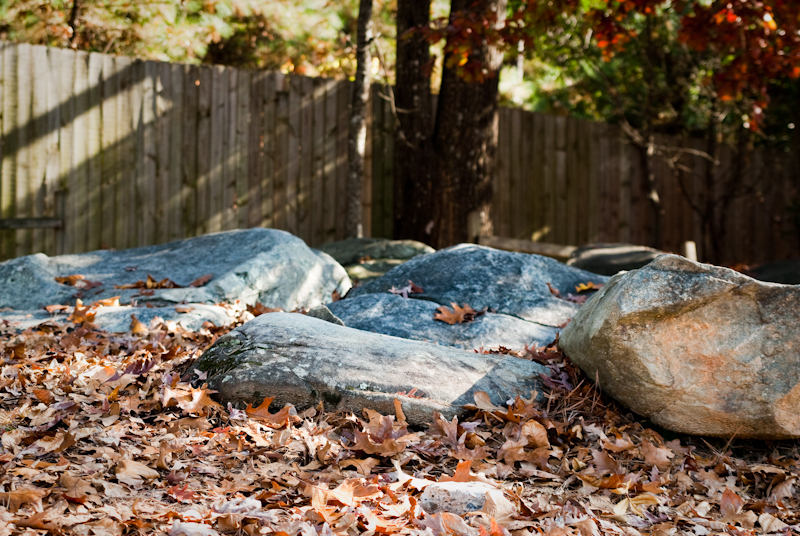 In the picture above there are rocks, trees, leaves and a fence. Do you see only what I listed or something much more? This is where he had a family portrait session today. I guess you could call it the rockin’ location. You never know where you might find a place to have a photo shoot; I find myself always on the lookout for places to photograph families, couples, and brides. It’s a good idea to keep a notebook with you, just in case you spot an ideal photographic location.